about the companies you meet with, and that you understand their process. These helpful tips are great questions to ask when selling to an investor. Meet with the investor in person. DO NOT negotiate the sale of your home over the internet or phone. 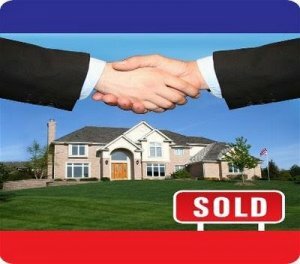 It’s important that the investor actually visit the property before you agree on a sales price. Some investors will give you an internet offer. This offer is worthless because it is contingent upon a home visit and inspection. At AIP House Buyers, we visit every property and meet with its owner prior to making offers or signing a contract. Ask the investor this questions: Are you an “investor” or “wholesaler”? This one is the best question you can ask. In simple terms, a true investor will have the cash to close on your home and will buy it themselves, a wholesaler cannot purchase. What is a wholesaler you ask? Wholesalers are people that mask themselves as true investors but they have no intention of closing on your house. Is this wrong? Not really. As long as they are transparent with you and you are okay with their technique. Wholesalers usually have access to a large network of investors and will try to sell the contract they have with you to someone in their network and make a profit off the difference. Ask the person you’re meeting with to share their numbers with you. If you’re going to sell to an investor, ask them to share their numbers with you. An ethical investor should be willing to let you know what they think the rehab cost to be. When we buy houses in the Guilford County communities of Greensboro, High Point, Jamestown, Colfax, McLeansville, Browns Summit and other Greensboro communities, we share our numbers with our sellers. Why? Because we have a minimum amount of profit we need to make and we don’t mind if you know that number. Our company is looking to profit between 15 and 25% on the money we invest. We think that is a fair and reasonable profit for the risk we are taking. When we purchase houses, we assume all risk for what we find after we close. So we build in a profit margin that allows us a certain level of “cushion” in case we find something after the fact like mold, water leaks, foundation issues, etc. Find out how many houses they purchased this month/year. A real investor will buy several houses per year. That number can be anywhere from 5 to 100, but it’s important to know that they do buy. Most investors tend to be regional. They could focus on a single city, county, or a region. Maybe a follow up question should be how many houses have you purchased in this county in the past 12 months. AIP House Buyers purchases homes in the following counties of North Carolina: Guilford, Alamance, Forsyth and other nearby counties. What kind of feeling do you get from the person you’re meeting with? Do you have good rapport with the person you’re meeting with? Do you feel they are honest, ethical, and act with integrity? You shouldn’t get a “slimy” feeling with the investor you meet with and if you do, kindly end the meeting and move to another investor. A true investor has everyone’s interests at heart and seeks to find a win/win situation for both buyer and seller. We hope you enjoyed these questions to ask when selling to an investor. Our company would love the opportunity to meet with you and discuss your situation. If you have a house, land, or other property to sell, please fill out the contact form here or give us a call at the number above.